I am too impatient when it comes to hunger. And my superfast sausage omlette is just the right choice for big gulps in short time. Cut sausages into thin round slices and fry them for a bit. Beat eggs after adding the soup cube – just a couple of pinches. 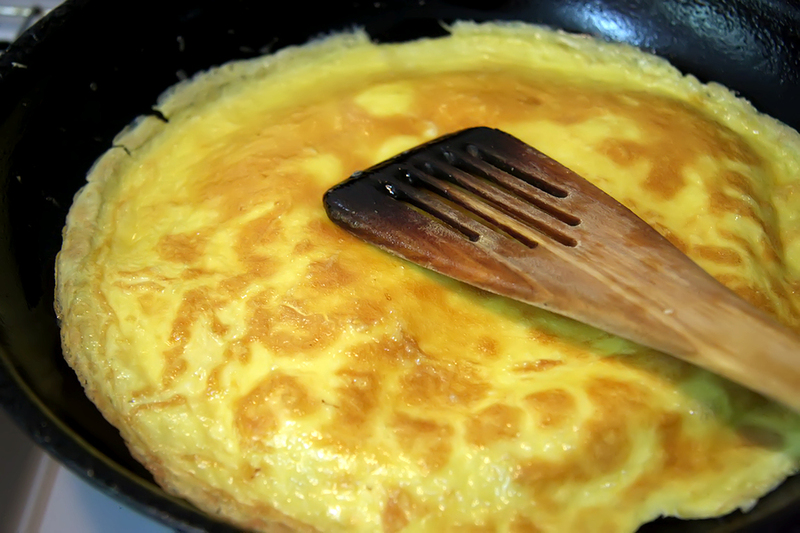 The more u beat, the fluffier the omlette. Add this mixture to the pan with fried sausages. Sway the pan so that the mixture spreads evenly. Cover the pan with a lid and let it cook for a couple of minutes. Voila!!! There’s your super-fast sausage omlette to be served with crisped bread or simply have it rolled up in a chapati.